Corporate sponsors for the walk! A big thank you to our corporate sponsors for the Embrace Norfolk Coast Walk your support is very much appreciated and will help us to support more people in our local community, leading to real sustainable social change. Our main Ultimate Sponsor is Stephenson Smart, we would like to say a big thank you to Henry Pettitt and the team for your very generous sponsorship. Stephenson Smart are a firm of chartered accountants with offices in King’s Lynn, Great Yarmouth, Fakenham, Downham Market, Wisbech and March. Who for over 100 years have provided expert, tailored advice to their clients, working together to deliver the very best for them. We also have 3 wonderful premium sponsors: without you we could not do the wonderful work we do and we appreciate your very generous support. Coleman Opticians, thank you to David, Radley, Kate and the team for your support. 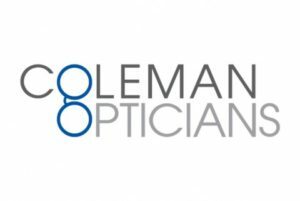 Coleman Opticians based in Norwich and Great Yarmouth. We provide excellent eye-care, spectacles and much more. We have a dedicated children’s area and specialise in little eyes. Face to Face Finance a big thank you to Julie Hunt and the team, Face to Face Finance are truly independent financial advisers based on the outskirts of Norwich. Helping individuals and businesses to make the most of their money and to plan for a financially secure future, whilst still being able to make the most of life today. Professional financial advice is an essential part of making the right decisions for your future. And their team is fully equipped to offer you the very best advice and service to give you the peace of mind that you, and your money, are being taken care of in the very best way. HSA Accountants and Tax Specialists, thank you to our Director Duncan Jay and Paul Minns for your very generous sponsor. HSA offer a complete range of services to individuals, sole traders/partnerships and Limited companies. Also working with Community Interest Companies. Letting Agents may want to look at our specialist Landlord Tax Package. A ‘bolt on’ service you can offer to your clients to improve your services and increase your income stream. East Point Wealth Management – Thank you to Lee Simpson and the team. East Point Wealth Management specialise in providing high quality personal advice on many aspects of wealth management, advising clients of widely differing financial resources and of all ages. Additionally, assisting businesses in the increasingly complex area of corporate financial planning, providing guidance on pensions, protection for directors, key employees or shareholders, tax reliefs and aspects of exit strategy planning. We also have many very generous general sponsors who we are so grateful to for your support, it makes such a difference to us and the work we are able to do in the community, thank you! Embrace Norfolk Coast Walk Support us doing our life changing work. How are we helping people in your community? Get in touch to find out ways in which you can help us and in turn help support your local community and make a real difference. © 2019 Embrace PFC CIC. All rights reserved.